Willow Tree angels and figurines are a wonderful collection representing qualities and sentiments that make us feel close to others. 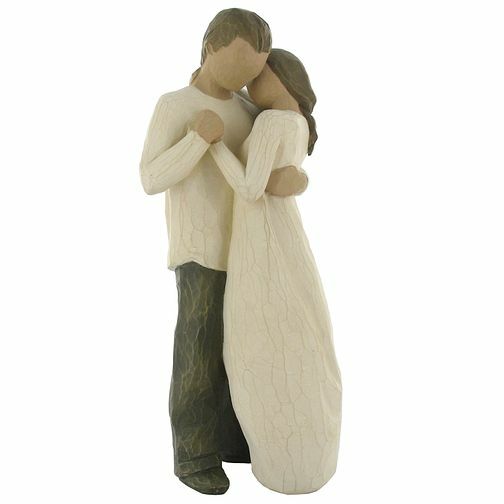 This Promise figurine depicts a young couple pledging their love for one another. Willow Tree Promise Figurine is rated 4.8 out of 5 by 17. Rated 5 out of 5 by Anonymous from exactly as expected Delivered on time and well packaged. Figurine as expected. Rated 5 out of 5 by Anonymous from Love this figurine I am a fan of Willow Tree figurines and I purchased this item as a wedding present for someone I know. It was just what I wanted and expected.